Serums, some can’t live with them and some can’t live without them. I, personally, started out trying different types of serums a while ago, just like moisturizers that include SPF. For this specific reason, I gave myself the chance to start using products with SPF and using a face serum, like the LIONESSE White Pearl Vitamin C Serum and the Opal Sheer Shield SPF 30. Let’s start off by understanding the importance of using a serum. These incredible products can make a huge difference in your skincare routine, thanks to high concentrations of active ingredients and vitamins (C, E & K). They are water-based products that can be highly concentrated and these products usually come in gel-like form. Each serum that can be found in the market these days can help treat a curtain problem in your skin so the benefits may vary, depending on the solution you are looking for. But, one may ask, what the difference between a serum and a moisturizer? The molecules in a serum are a lot smaller than the ones found in a moisturizer. This makes serums more concentrated and effective to work in the skin. Most moisturizers provide bigger molecules, so it only works on the top layer of the skin. 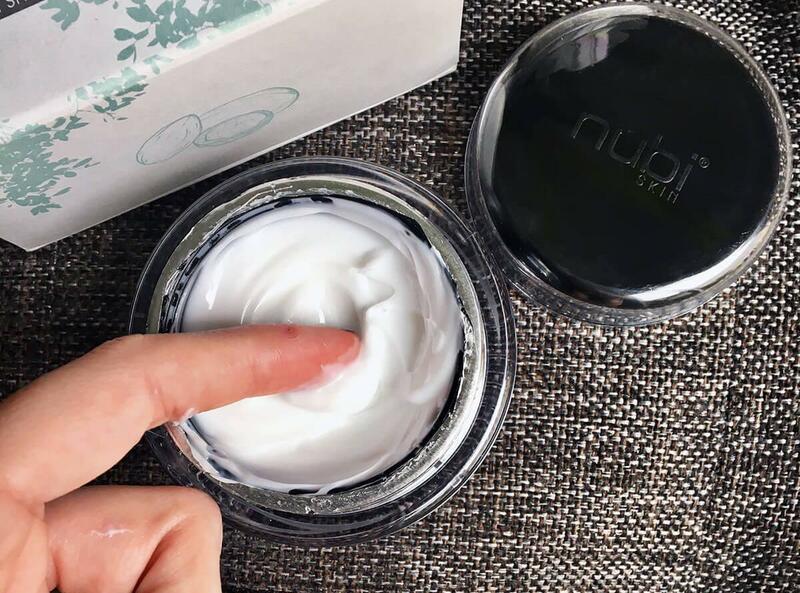 While serums provide higher concentrated nutrients and vitamins that essentially helps treat various skin conditions, moisturizers provide hydration to your skin. A serum’s results are quicker and more satisfying. Another important factor when choosing a serum is choosing the one that’s right for your skin. Everyone’s skin is different, so it’s important to read carefully and choose wisely the type of skincare product you’ll use on you face or even on your body. From good complexion type skin to a more problematic skin type, there are a whole bunch of serums that can help manage every type of skin- dry, oily, sensitive and combination. the perfect serum doesn’t exist, let’s face it, but the right product can be determined depending on your needs and age. Absorbs instantly onto skin: After a few drops of your favorite serums, let absorb into skin followed by your favorite cream. 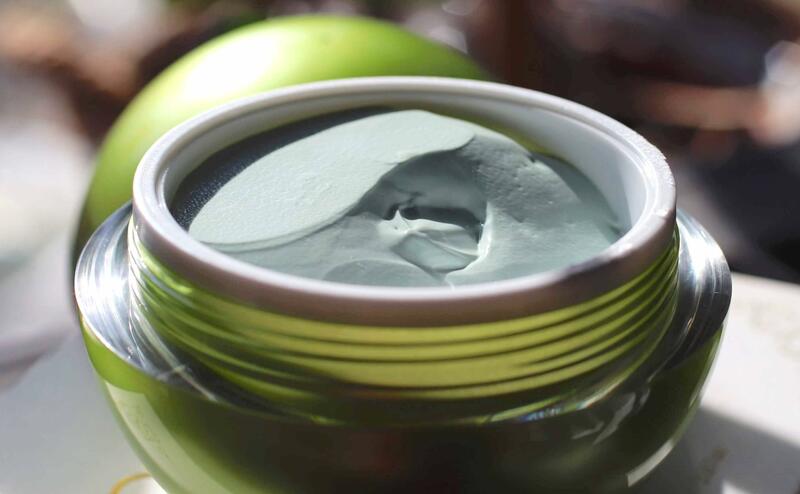 It can promote a silky texture and a more youthful looking skin. Complements other skincare products: A serum will give your skincare routine the boost it needed. Pairing a serum with another one of your products can complement each other and promote more beneficial results. Quick results: A serum’s results tend to arrive very quickly, especially when combined with another product like moisturizers. 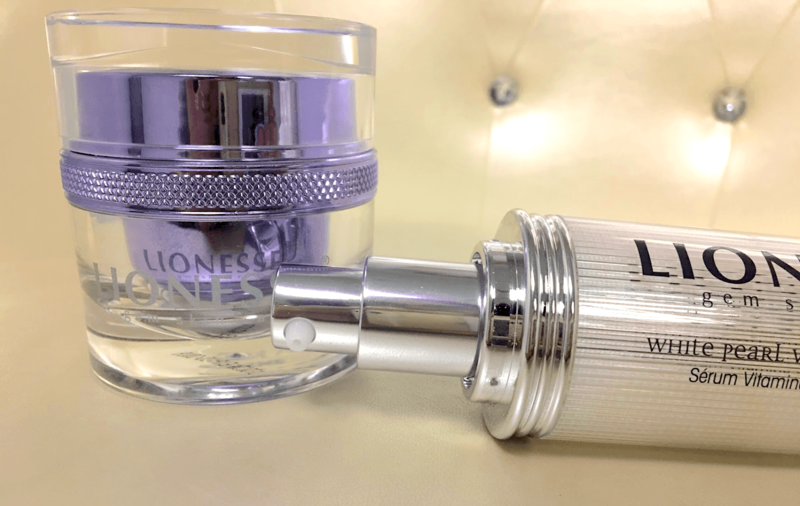 My choice for the perfect serum has to go to the LIONESSE White Pearl Vitamin C Serum. Beautifully designed in a white pearl-ish color and texture, it provides the perfect match with any moisturizer you may be using at the moment. Infused with incredible ingredients like pearl powder and orange, this incredible serum can help maintain that youthful looking skin we all want, leaving a smooth and silky feel on your skin. 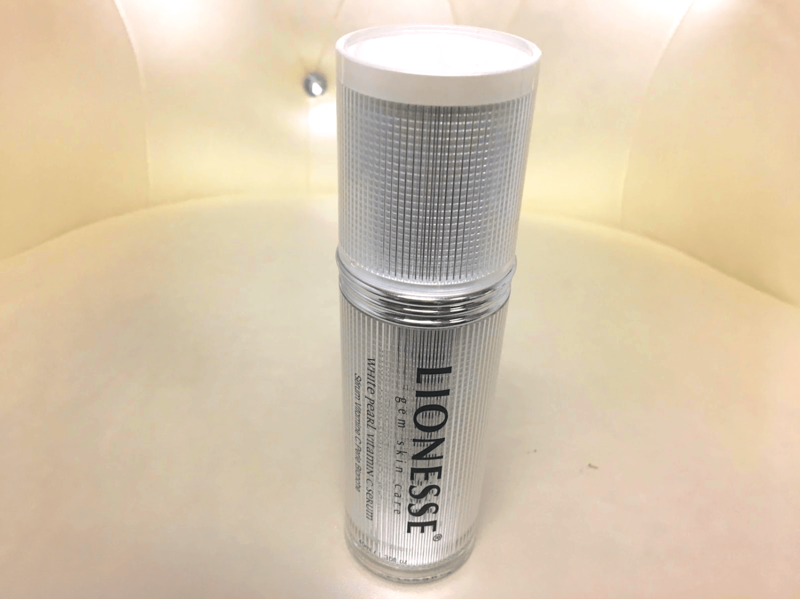 Before using this product, I wasn’t aware of the LIONESSE brand aside from their hair products, which are great btw. So, knowing how well their hair products work on me, I decided to give their skin care brand a try. 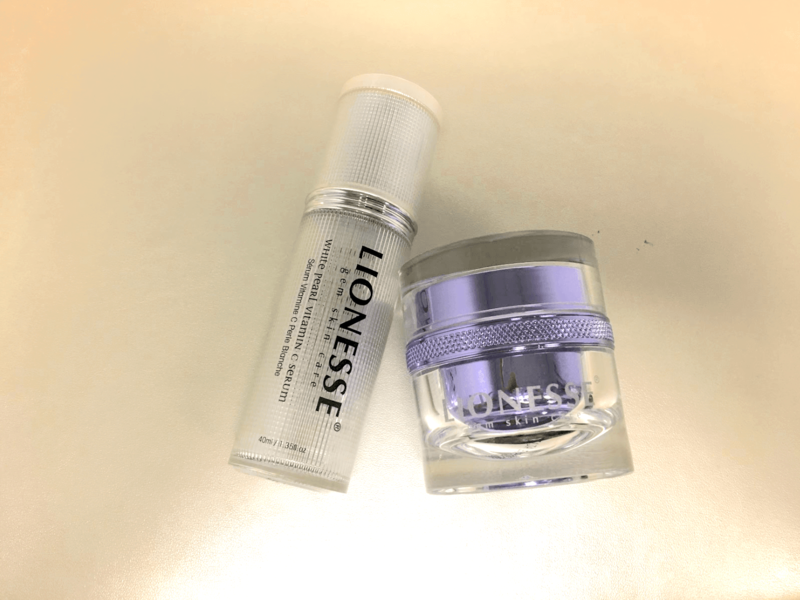 When applying the LIONESSE serum, I noticed how great it smelled. I normally don’t use products with any type of smell or fragrances because of my delicate skin. But, in all honesty, this serum worked wonders in the first few seconds of using it. It took a while to devolve around my skin, but it left a shiny and silky complexion after applying it around my face. My face looked clean, shiny and radiant. I looked healthy and confident knowing I could go out and not feel bad that I wasn’t wearing any makeup. It gave me a boost of confidence knowing that my skin was going to achieve a certain level of beauty without needing any makeup or formal preparation. I loved the feeling it gave me of how beautiful my skin looked. It had a glowy feel to it. Sometimes my skin would feel a bit dry and I would start changing my products all the time in order see a difference between each product. When using this serum I noticed a huge difference, especially when I started using it with my other products like cleanser and moisturizer. Now, you may ask yourself: did she use it during the day or night? Well, actually, I decided to use it during the night first and then I used it during the day so I can combine it with the LIONESSE Opal Sheer Shield SPF 30. The reason I wanted to use these two products together is to see how well they worked with each other, just like everyone does when wanting to mix two products together. Let’s start off by saying how important I think SPF is. Keep in mind that SPF is not only when you go to the beach or to a pool. This important factor should be a necessary addition to your daily skincare routine. A lot of these SPF can come in a series of numbers, all the way from 12-70. These numbers help to protect up to certain levels of UV rays and prevent skin damaging, but the higher the number, the better the sunscreen protects. With the temperatures higher as ever these past couple of years, using a sunscreen or an SPF is super important. According to the Melanoma Foundation, 1 in 5 women will develop skin cancer at a certain point in their life. Making it the second most common cancer for women in their twenties. A lot of people may think that SPF is only important to use during the summer. Unfortunately, this is not completely true. It is crucial to use during the summer because of the high temperatures, but, it is also important to use all year long. Even if you’re in an office all day, the high voltage of the light used in a lot of offices can also create skin damage and eventually dark patches. For some time now, a lot of beauty companies have created moisturizers with SPF included. This is a major help for your skin because it provides not only moisture but skin protection against the sun as well. It’s important to get a good moisturizer depending on your skin tone, which is a starting point when trying to buy one. Another important factor is your skin type- dry, combination, oily or normal skin. Depending on your skin’s reaction, it’s important to do a patch test before using the moisturizer. Moisturizers with SPF can help with retaining collagen production. When the skin creates collagen, it not only appears moisturized but it’s also less prone to wrinkles. it can correct damages caused by the skin when cosmetic procedures have been required to correct damages on the skin. it helps with skin discolorations. The skin experiences discoloration throughout the years, but a moisturizer with SPF can help reduce the discoloration while providing proper protection. I didn’t know the importance of SPF until I was in my early 20s. I would normally use a moisturizer and, to be honest, I didn’t take my skincare routine very seriously. Living in a tropical weather it’s very important to keep your skin healthy, especially living in a place where it’s sunny practically 90% of the year. I used to wear a moisturizer with no SPF in my college years and if there’s a moment in my life I could take back, it would probably be that. I used to go to college in a city where it was very popular tourist-wise. It was close to the ocean and the days were always sunny. Taking that into consideration, I don’t know why I never thought about using some type of sun protection on my skin. I didn’t end up having bad consequences, but I did learn my lesson. Even though my skin is very good looking and healthy, I would have used sun protection along with my moisturizer on that very stage in my life. It could have helped me to achieve even better-looking skin. Who knows? Now, onto the most important part: does this product work? After coming from a positive experience with the White Pearl Vitamin C Serum, I was pretty excited and had high hopes when starting to use this moisturizer. Let’s also mention that the packaging itself is beautiful. 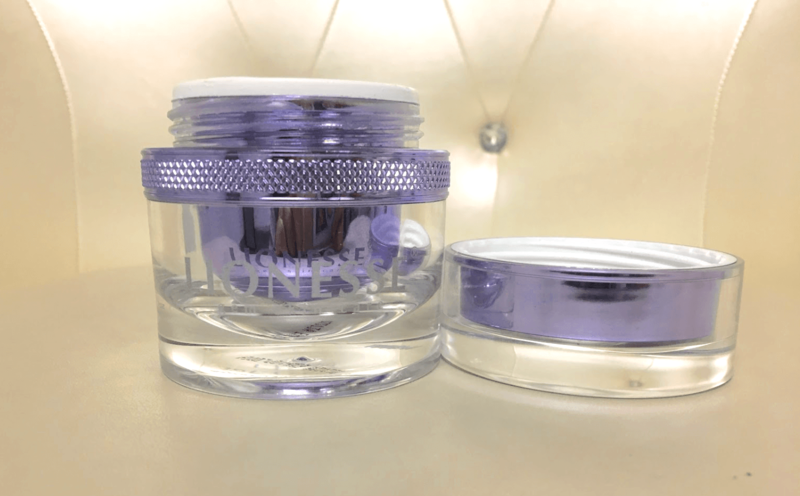 The product is very big in size, which is great and it comes in a crystal-like body packaging with purple and gray color tones. Having both products together one next to the other just gives me life. they are both stunning and beautiful, but what’s even better is how great they work. I used the Opal Sheer Shield in the morning the first time using it, knowing that I was going to head out to an appointment that day. To say I felt beautiful is an understatement, I feel AMAZING. The softness in my skin was in a whole new level. I felt my skin softer than ever before, because I’ve never used a moisturizer this good. I’ve used a couple of companies here and there, but never did I imagining that I would use a moisturizer with such great results.